At least 2 nodes are needed for creating a system where the role of the Master node can be transferred to another node. The selected services have to be installed on every node in case you would like to use them in the same cluster. On each node the program of Ozeki Cluster must be installed. 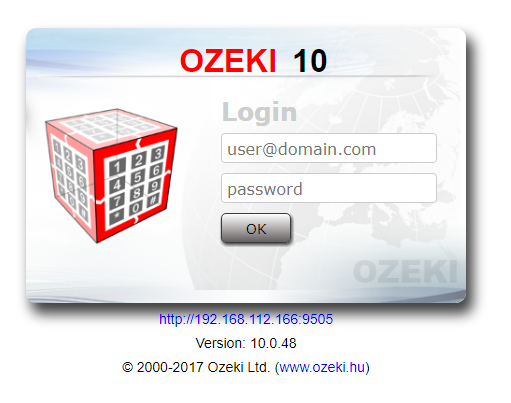 After you have downloaded and installed Ozeki Cluster, the first thing you will do is to log in to the user interface (in other words, the management console). You can open it directly after the 'Installation Completed' dialog box appears. Logging in is also possible if you open the login window, and then click on the Ozeki Cluster icon on the Desktop as shown in Figure 2 . If OZEKI Cluster is running in the background, you can log in using a browser by opening the login window (http://127.0.0.1:8333 URL). The login window can be seen in Figure 3. In the login page (Figure 3) enter your username and password in the required fields. The username and the password are the same that you gave during installation. For security reasons, your password should be at least 6 characters long, and it should be a combination of letters and digits. After you are logged in, you will see the 'Home page' (Figure 4). On the home page, click on 'Edit' (Figure 5). 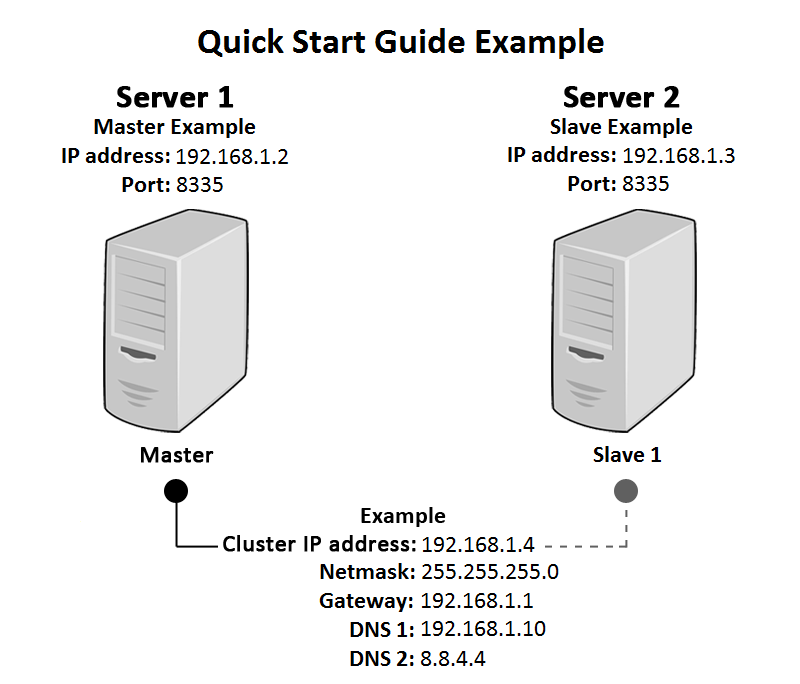 In the Cluster IP address menu (Figure 6), you need to add the cluster's IP address. It must differ from any used IP address on the network. The netmask, gateway, and DNS fields are filled in automatically. If you are finished, click 'Ok'. Now it's time to set up the Slave node(s) on the cluster. As a remark, the Master node is already configured automatically. On the home page, select 'Computers' on the right hand side panel (Figure 7). Click on the 'Add computer' button and the 'Computer details' window will turn up next to the 'Computers' list. Host - The Slave computer's IP address. Role - In this case, the role is set to 'Slave'. If you would like to add more slave nodes, just repeat Step 3. You can change the Master node configuration as well, if needed. Let's add some services to our cluster! In our example, we will show you how to add OZEKI NG SMS Gateway to the cluster. You can also choose any service you have on the Master node, and as many services as you want. You must have the added services installed on the Slave nodes as well. On the left hand side list, select OZEKI NG. Then click the 'Add' button in the middle of the screen (Figure 10). If you would like to add more services, just repeat Step 5. You can set the boot delay according to the boot time of the slowest booting node. Therefore if the slowest node is not turned on by the time Cluster has already started running then it will result in unavailability of that node. We have already set up a default boot delay time which is 120 sec. You can set this function easily by clicking on the 'Configuration' menu and choose 'Boot delay' submenu. You will also see a diagram on this page which represents you the situation. (Figure 12). If you have followed this guide thoroughly, you will see a similar result as shown in the pictures below. Finally, click on the 'Start' button to start the cluster (Figure 14). If everything went fine, you should see all of the selected services running (Figure 15).